Be Encouraged. Discover Happiness. Love Freely. Not physically tired, but…mentally drained. I am such a Type A person and sometimes this can be exhausting. Who am I kidding lol, this can be MESSY. I love who I am. I just need to establish better boundaries for my self-care. Having a Type A personality means that I have a tendency to remind myself of the time urgency with pretty much everything. This includes big tasks and even those smaller ones that don’t seem to matter. Funny because I know this about myself and I also forget this very fact about myself as well. Something that I have changed to counter this madness is to be intentional about quieting my mind. This process will look different for every person. But for me, I acknowledge my own weaknesses in this area. I’ve honestly tried different ways on becoming less anxious in my thoughts, and I have been successful…but this hasn’t lasted longer than maybe a few days. I’m not capable of taking on such a task on my own, so I ask God to help me here. I have to pray for peace of mind and the ability NOT to go crazy from my self-made issues. What is your personality type and how has this impacted your level of stress? I refuse to be so overcome by my lists that I miss out on what’s presently more important. Like enjoying my family. Recently I’ve seen myself stop errands midway and just walk away, even for just a few hours or to pick them back up the next day. What an impact this has made on my sanity! Trust me, this has been more difficult than it seems. For those of us who live by calendars, and to do lists…you know what taking a break means. Your mind may still not shut off. Even if you physically remove yourself from a task, you may still be talking to yourself about all that is left for you to do..and how you’re going to get it done. Don’t get too hard on yourself because there is still hope! Since I have temporarily transitioned from an office job to an at home job in caring for my little one, I’ve had to adjust my schedule completely from a set in stone calendar of responsibilities to allowing myself to be physically and emotionally present for myself and for my family. I’ve made the change because I’ve seen how challenging I’ve made things for myself with lists, and lists, and lists! Did I mention how unnecessary many of these were?! When I actually took a step back and allowed God to take control of my anxious mind and give me the opportunity to be present emotionally and physically for my family…I have truly been blessed! My days are so much lighter. I let go of things that I would normally hold onto for weeks. I smile more just because and I am genuinely happier. We all still have a ton of things to get done, so I’m not completely pushing off these responsibilities. What I AM doing is giving myself the opportunity to “take a break”, when before I would say this but this wasn’t actually the case. I want to be able to forgive myself for trying to do it all…ALL of the time! My hope is that we all learn how to breathe a little easier and take in those moments that we used to ignore or may not even have noticed because we were knee-deep in our running tab of errands and things to get done before the days end. If you’re willing…allowing your prayers and your faith to shift your worries to be more manageable if this is something that you haven’t tried. Starting this Wednesday off with a book review, for my #TeachMe series. 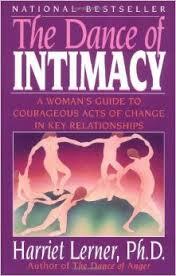 The book I have been reading is, The Dance of Intimacy, by Harriet Lerner, Ph.D.
Now! Let’s get started with peeling away the layers of this book, shall we?! “It is the will to change that motivates us to seek help, and it is the fear of change that motivates us to resist the very help we seek”-Lerner. I believe Harriet Lerner is justified in her belief that there are many books available that offer specific guidelines, and how to’s, in regards to improving your relationships with others. But, what are we learning from many of these books? How can we learn to sustain long-term changes, when many of these recommendations may have been based off of a quick perception of the problem? I agree that these books can and have been helpful, but what we should focus on is becoming more knowledgeable in getting to the root of these “issues”. To give you a better example, think about going to a friend to talk about your day…you know, just venting about what happened that caused you to become upset. Next, this friend has the best advice on what you should have done, and the reasons why this advice will help “fix” everything. Either this can be good really good advice, and you are thanking your lucky stars for such an amazing friend, or perhaps this friend has completely missed the mark? Without really understanding what happened in your day, how can anyone offer you meaningful suggestions that would be satisfying for you? Not even do the significant people in our lives get to take the fall for providing us with the “wrong advice”! Many times WE are quick to jump to make decisions on how to resolve the “immediate” problems. Of course this may seem logical at the time. On the contrary, if you’re having the same argument for the 5th time this week, this may cause you to feel hopeless right? Been there. Done that too many times to count. What this just means is that you really haven’t figured out why these arguments are truly happening…I’ve learned that my expectations can get me into a ton of trouble. Come on guys, I can’t be the only one out there. 🙂 Many of my past disagreements, (with anyone), boiled down to me not feeling comfortable with accepting that life happens. I won’t have the ability of predicting what should happen or when (even though this would be…awesome). Instead of discussing my expectations before the disagreement, I chose to say nothing. I’ve also learned that I needed to speak up for the things that I wanted. I was tired of hiding, and dealing with huge blow ups after the fact. In a nutshell, this book provides you with ways on how to begin understanding where your feelings of anxiety stem from, that may prevent you from changing your behavior to improve intimacy within your relationship. 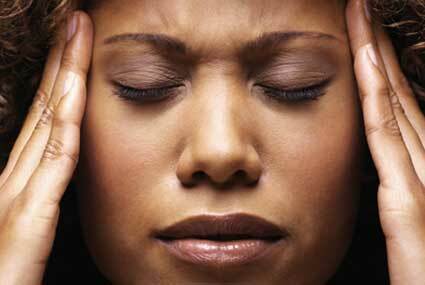 Does your symptoms of anxiety originate from earlier experiences? Or is it something more recent in your life/relationship that needs your attention? Lerner provides case examples, and personal narratives about how to begin this process. My question to you is, how do you resolve issues in any of your relationships? Are these changes typically a quick fix, or do you feel that you need to constantly address the same issue? Based on this book review so far, would you continue reading this book? Finding yourself stuck in a cycle of negativity, or similar arguments with someone you love? Our relationships can suffer because we minimize one anothers feelings. Even if doing so was not our intention. Many of us lack the ability to see another persons perspective. Often times we are too focused on our own feelings and experiences, that we completely miss the mark. We miss opportunities to connect with others, because we are being “selfish”, or at least coming across as such. More and more, I’m noticing that much of what we communicate tends to get lost in translation. We attack one another simply because we believe we were wronged in some way. The worst part is that when these messages are misunderstood, many of us fail to gain clarification on the intended message. As a result, maybe you spend the next day replaying that conversation in your head. Man, have I been there one too many times! I admit that I have let my imagination run wild, without taking a moment to calm those nasty convos in my head. Then, when I am able to confront the “issue”, I often learn that I was wrong. So, realistically I’ve spent an unimaginable amount of time dwelling over things that could have been cleared up if I was able to understand the other’s interpretation without having my feelings block my judgement. Psychotherapist Cindy Sigal, AMFT (Relationshipshttp://psychcentral.com/blog/archives/2014/06/08/the-power-of-empathy-in-romantic-relationships-how-to-enhance-it/) has a wonderful perspective on how to improve empathy in our relationships. Cindy discussed three different types: Cognitive (we don’t lose sight of our feelings). Here we are able to recognize others feelings without experiencing these same feelings ourselves. Emotional (sharing feelings with your partner or others). If your hurting, I’m hurting. If you’re angry, I’m angry too. Compassionate ( a whole person response (changing our own behavior). With this type, we realize what our partner may be experiencing, and actively alter our behavior to increase positive feelings. For example, you may know that today wasn’t a good day for the other person. Instead of adding onto their current stress load, you do something different. You may say kind words, or pick up their favorite snack. 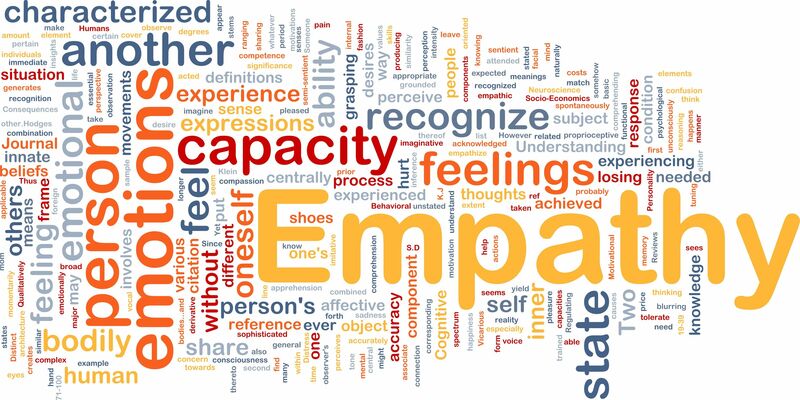 In addition to understanding the different types of empathy, it will also be helpful to identifying the Road Blocks from experiencing empathy. -Getting sucked into our own perspectives (how we are feeling vs our partner): From my experiences with others including what I’ve been through personally, is that many disputes/disagreements occur when you feel the other person isn’t listening, or feel as though they do not care. Many of us become stuck with defending ourselves when communicating, because for some reason we feel attacked. What can possibly be resolved if both of you aren’t even attempting to understand the others perspective? You’d don’t have to agree with them, but this will help you grain clarity. I’m definitely still a work in progress! -Treat ourselves how we would treat others: I admit that am not the best example of this. I allow others the ability to make mistakes, and offer them my best advice and encouraging words. But, I don’t always allow myself these same luxuries. Yes, I want to push myself, and learn from past experiences. How will this be possible if I won’t even give myself the opportunity to reflect on these roadblocks? I hope that today is a wonderful day for everyone, and we all are able to improve our Empathy! What contributes to your overall satisfaction in your romantic relationships ( past, present, or future)?